Julphar, one of the largest pharmaceutical manufacturers in the Middle East and Africa, has signed an agreement with leading global medical technology company, BD (Becton, Dickinson and Company), to supply disposable insulin pens in the United Arab Emirates (UAE). BD develops innovative technology, services and solutions that help advance both clinical process for healthcare providers and clinical therapy for patients, including a wide variety of insulin delivery devices for diabetics. Through this agreement, Julphar’s human insulin formulations including Jusline R, Jusline N and Jusline 30/70 will be available for administration through BD’s portfolio of BD Vystra™ disposable pens. In addition, the same device will be used for insulin analogues (insulin glargine and insulin lispro), which are still under development. Carle added, “Many people in the UAE are suffering from what, in some cases, is a preventable condition. As a global leader in the manufacture of insulin, Julphar has a responsibility to not only raise awareness of the risk factors but to provide affordable, effective solutions that help diabetes sufferers live healthy, normal lives. Insulin pens are small, disposable, lightweight plastic handheld devices containing prefilled insulin cartridges that are convenient and more versatile than some traditional methods for insulin injection. Almost one in five people in the UAE have diabetes, making it one of the country's biggest health concerns. The UAE has some of the highest rates of diabetes in the world, with 2017 figures showing 17.3 per cent of the population have the condition, positioning it 15th on a World Diabetes Federation list. 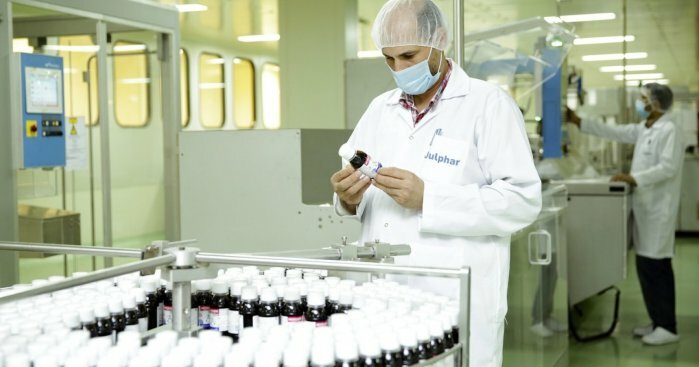 Julphar launched its $150m biopharmaceutical facility in 2012, which has the capacity to produce 1,500kg of recombinant human insulin and insulin analogues crystals (rDNA), equivalent to a combination of 30 million vials & 25 million cartridges & pens of insulin per year. The disposable insulin pens are now in the final stages of the approval process and are due to be launched as soon as they have been officially registered by the Ministry Of Health.